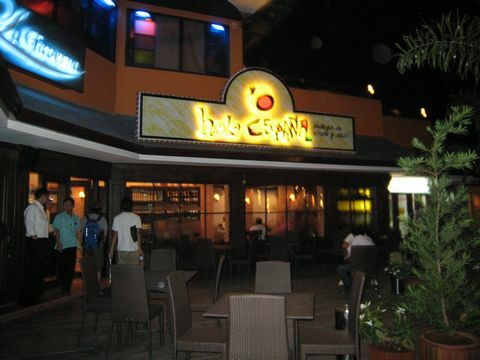 Hola Espana is located near Shangri la Hotel in Mactan and also it is located across from Shangri la's gate. You can dine inside or outside the restaurant so you can choose! 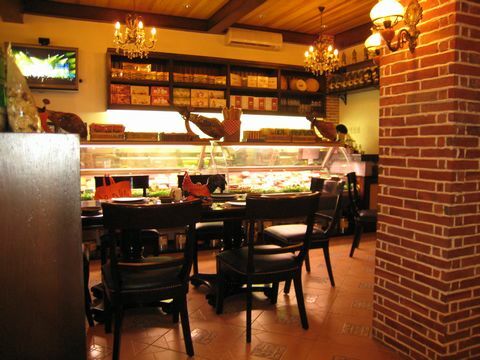 When you go inside the restaurant, you can feel gorgeous ambience and you can meet friendly staff. 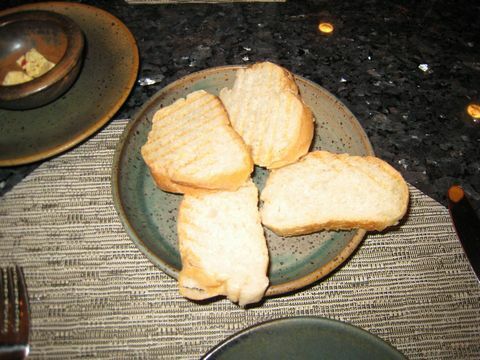 This is Garlic Bread which is for free and you can get it after your order while you're waiting your meals. You can have it with some butter. 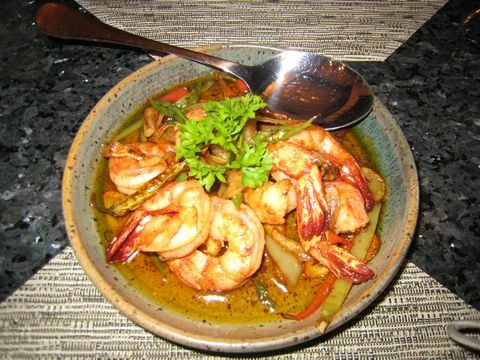 This is GAMBAS AL AJILO which is stir-fried Shrimp with Garlic. It has a savory flavor and also you'll be satisfied because of taste. It's much better to taste it while it's still hot. 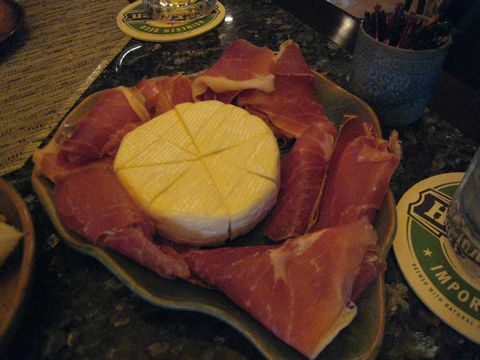 This is Uncured Ham which are good to order with some wine. You can order it from 100g to more than a hundred-g, the price depends on the class. There are two kinds of class. 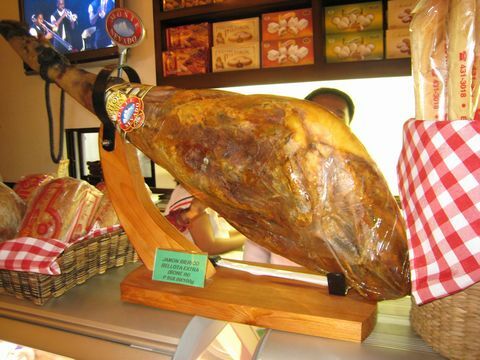 Prices : Uncured Ham 100g : 495pesos. the other class costs 1,000pesos from 100g to more than 100g. 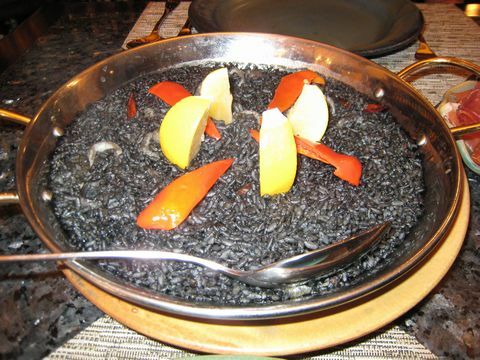 This is PAELLA NEGRA which is made by a flaversome paella with dark squid ink. I can recommend you to order it, it looks not so delicious but, it's flaversome I'm sure you're going to love it. Please try it!! It's much better to order it for two. Don't order it for four. It's good enough for 2 or 3 people. Prices : 295pesos for 2 people, 590pesos for 4 people. This is PAELLA VALENCIANA which is made by a famous paella from Valencia Spain sumptuously served with secret ingredients. 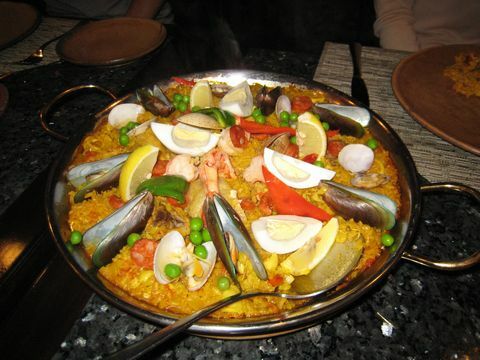 It has a lot of seafood with saffron paella and also it has vivid looking so you wanna eat immediately. This one is also good to order for 2 person compared to for 4 person. I'm not sure but, they don't know how to cook it for 4 person. When I ordered it for 4 person, it was not as delicious as that I ordered it, for 2 person was really delicious. 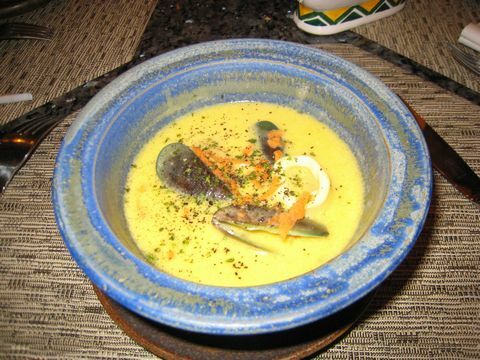 This is Bouillabaisse which is made by a delicately selected ocean fish, clams, mussels, squid and stewed in olive oil and flavored with herbs and spices. I want you to order it for your satisfaction. The meal is good for 2 people and it's better to ask staff to share it for 2 person. 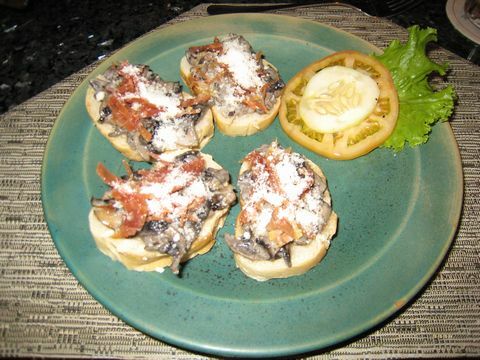 This is BRUSCHETTE which is a country style bread, rubbed with juicy garlic and olive oil topped with tasty mushroom. 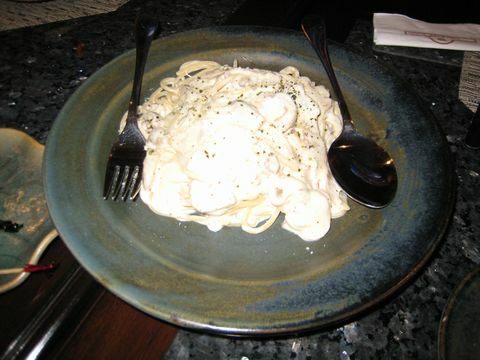 This is SPAGHETTI CARBONARA which I like it very much so I can recommend you to taste it. 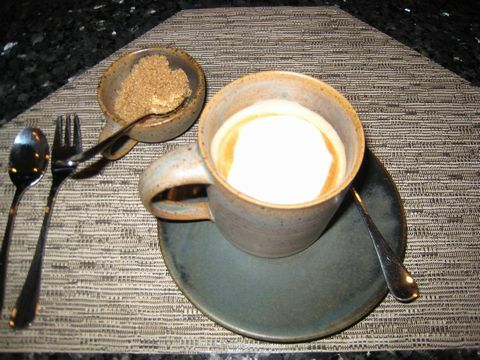 I'm sorry that I forgot to get exact informatin about this coffee. I'll show you later. 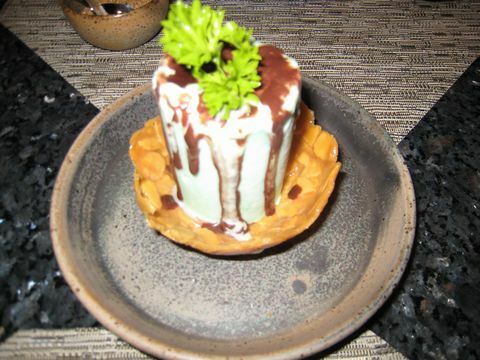 This is ALMOND BASKET with mint ice cream which is caramelized almond flashes with honey and mint flavor ice cream. I don't like mint flavor so if you like that flavor, you just order it. 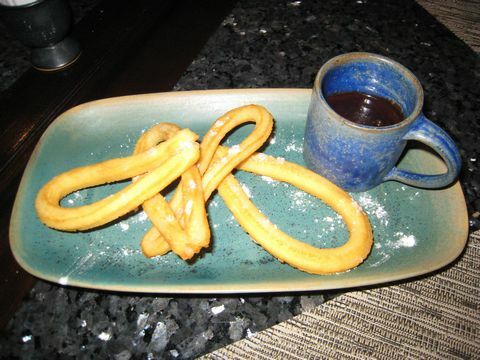 This is CHURROS which is crisp-fried pastries served with delicious melted chocolate. It's better to order it after your meals and also melted chocolate if you're chocolate lover try this one. 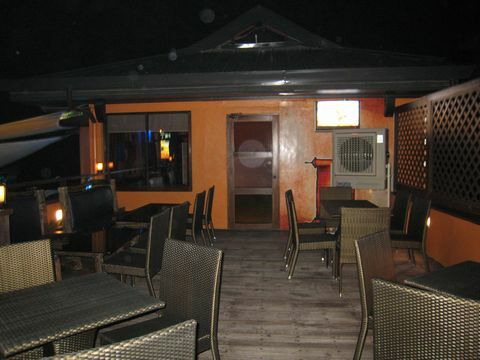 This room is on the second floor which is also good atmosphere and you feel comfortable. 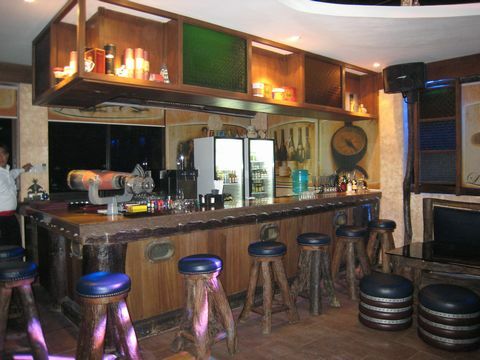 It is good place to have a party with your friends. This place is located outside the 2nd floor where you can feel breeze and also you can see the constellation of stars in the night sky. Comments : This restaurant provides terrific delicious meals and I would like you to order PAELLA good for 2. not for 4, if you want to order it for 4, it's much better to order 2 PAELLA for 2 even though the same meal. Advices : Some dishes are good enough for 2 or 3 people so it's better to ask staff to share your meal for your friends. In behalf of Hola Espana staff I just wanted to thank you for promoting Hola Espana on your page. Deeply I'm very pleased and very much happy by the impact. Lots of foreigners are coming over and dine with us, mostly japanese nationals. Truly I don't know how to thank you more...Hoping we could meet someday here at hola espana...Gracias! Hi, Mr./Ms. Happy Tim Tan. Thank you for commenting to my web-blog. Actualy I was really satisfied with everything, foods, staff, services and inside the good ambience when I had dinner at Hola Espana. I'll visit you place near future. I'm looking forward to seeing you later. Actually I also used to stay in Macatan for almost a year!! I was a student in CELI Mactan which is located next to BIGFOOT. I wanted to guide you all to good restaurant before coming back to Japan. If you wanna know good retaurant, please ask me about it. I'm sure you'll be satisfied with Hola Espana's delicious food. Your blogs are very informative and complete with all the pictures, prices and reviews. I will be bookmarking your page and share it with my friends. Thank you for commenting and I really appreciate your evaluation. I hope your friends also will like my weblog. Even though, my weblog doesn't have enough data.. If you could understand Japanese, you'll know more information about Cebu, Restaurants, diving and sightseeing to see my Japanese weblog through my experiences. My Japanese weblog has more info than this site. And I try to update more info about Cebu to use English. Actually I'm not good at writing hahaha..you might misunderstand because of my not enough English knowledge. I'll update more info when I'm free, thanks. I hope you'll spend great time with your family, friends and everyone. I've only tried eating at their branch in Maria Luisa Road, but I saw this establishment when I stayed at Shangrila last December. I hope to be able to try this branch as well. Thank you for visiting and commeting agian. This place is als nice to have dinner with your family, friends and your special. I'm sure you'll enjoy your time there. Their staff are really friendlly and kind, so I can recommend this place for everyone. I hope you'll visit there soon and enjoy your time. We will be in Shangrila Mactan next month and we will surely vist Hola Espana..thanks for sharing. This is where the virtual marketplace comes to the rescue of those who are looking for a perfect blend of cost effectiveness and world class quality.